Children aged 0 to 5 were the centerpiece when business leaders joined early childhood advocates in San Francisco recently for a meaningful conversation about a critical bottom line: ensuring that California’s youngest residents have the support and education they need to reach their full potential. As participants noted, prioritizing investment in early childhood care and learning is important not only for the well-being of individual children and families, but for the state’s economy as a whole. The gathering was hosted by the First 5 Association of California and California Forward and drew participants from all corners of the state. 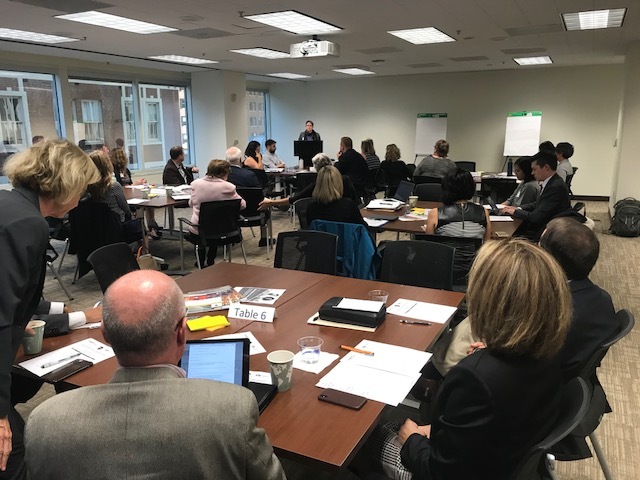 Their shared goal for the day was to develop recommendations for the 2018 California Economic Summit aimed at forging new cross-sector partnerships to advocate for and achieve greater early childhood investment in California. Those who participated share the belief that too many of California’s youngest children are growing up in homes and communities where they do not receive all the early nurturing, support and education they need to become thriving and successful adults. These patterns carry large costs for families, communities and the economy in terms of lack of educational achievement and access to living wage jobs, an underprepared workforce for the future, and persistence of poverty and other societal challenges. First 5 county commissions, funded through a tax on tobacco products, have for 20 years worked to address the needs of children ages 0-5. In the process, they have built up a deep store of knowledge and experience about what works for kids and families. With tobacco use and associated tax income declining, First 5 commissions are reshaping their approach for the future by focusing on sustainable “systems change.” They seek to serve California’s youngest children with a broader approach, one that emphasizes a more coordinated system of care, capitalizes on First 5 expertise, and builds partnerships with business, economic and community sectors. From a business perspective, such partnerships make sense. By the time a child reaches age 3, 80 percent of his or her brain is developed. Accordingly, solid research has shown that investments in early childhood education and services can yield returns that far exceed initial costs. The need for making such investments is critical because the combination of low birth rates and the retirement of baby boom workers is expected to create a shortage of adults available in the future to support the economy as workers, consumers and taxpayers. Advocates thus maintain that all children receive the support and education they need to reach full educational and vocational potential. During the gathering, participants deliberated about the most promising paths forward for early childhood investments, including expanding quality childcare and preschool access, promoting family-friendly work environments, and building systems of support for families within communities. Innovative partnerships, financial mechanisms, and incentives were explored. Keynote speaker Delaine Eastin, the former State Superintendent of Public Instruction and a candidate for governor in last June’s primary, provided a compelling vision for investing in young children. She noted that California is in the bottom ten states in the nation for education spending, but number one in expenditures for prisoners. Eastin provided examples of action taken by four American presidents. These national leaders, she noted, understood the long-term societal and economic investment value of creating programs to assist and lift people up through educational loans (Eisenhower – National Defense Education Act), land-grant universities (Lincoln — Morrill Act), nutrition (Truman – National School Lunch Act), and housing and college assistance (Roosevelt – G.I. Bill of Rights). 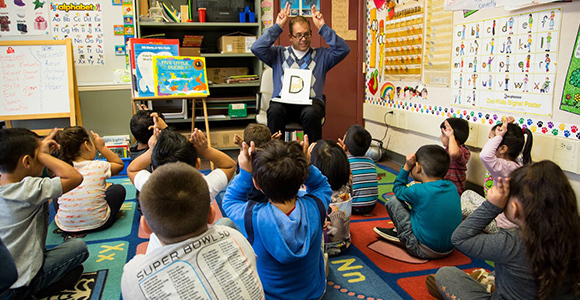 Participants at the gathering were informed and guided by a white paper, Early Childhood Investment: The Bridge to a Stronger Future for Children and California’s Economy. The day ended with settling on key priorities that will be used to guide and shape recommendations for the 2018 California Economic Summit to be held November 15-16 in Santa Rosa. The early childcare and learning event was co-hosted by First 5 California, First 5 LA, First 5 Sonoma County, First 5 Alameda County and the Bay Area Council.